If you’re a regular reader of this site, you’re probably aware of iOS 5, Apple’s newest release of iOS, currently in beta form. 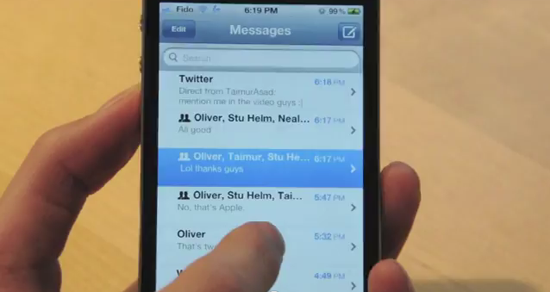 Reviewer Steven Chi, member of the Redmond Pie family, got his hands on iOS 5 and has put together a video showcasing iMessage, one of the major new features in iOS 5. Overall, it went pretty smoothly. This video might show you a few things you might not yet know: for example, iMessage is actually integrated into the iOS messages app, meaning it will automatically switch to SMS mode, which looks and feels identical, if the recipient doesn’t have iMessage active. Once you’re chatting with your iMessage buddies, you can send them text, pictures and even videos on the fly, even if you’re in a group conversation. There’s also a FaceTime tab, if you ever wish to switch to video chat. 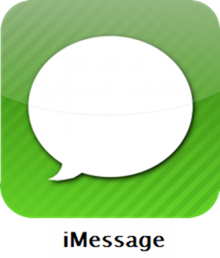 As expected, the iMessage client is now the gold-standard instant messaging client for iOS, with integration with the Address Book and the new notifications system. Multi-person chats also work extremely smoothly, considering that this is the first beta. Since it’s integrated into the Messages app, configuring it is just as simple and heading to System Preferences and choosing "Messages". From there, it’s easy to assign different caller ID’s and e-mail addresses to iMessage: it’s a one-step process. Should this replace your current instant messaging client on iOS? If you have friends on other services, such as WhatsApp, AIM or Windows Live, chances are it shouldn’t. Just like BBM, this is meant for conversations between iOS users only, and while it’s simple, it’s not going to give you access to anyone outside the iOS umbrella. Unless you manage to get everyone you know to switch to iOS, this is not a practical solution, yet. Other companies have tried a similar approach to instant messaging. RIM, the makers of the once-exciting BlackBerry phones, has BlackBerry Messenger, which allows for communication between BlackBerry users. iOS 5 was introduced on Monday at WWDC, on the same day the first beta version was issued to registered Apple developers. The final version is expected to come out this fall.